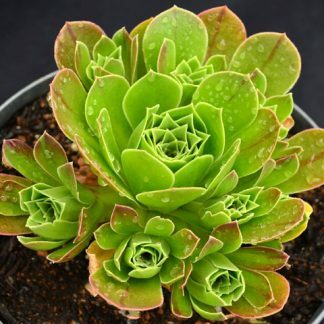 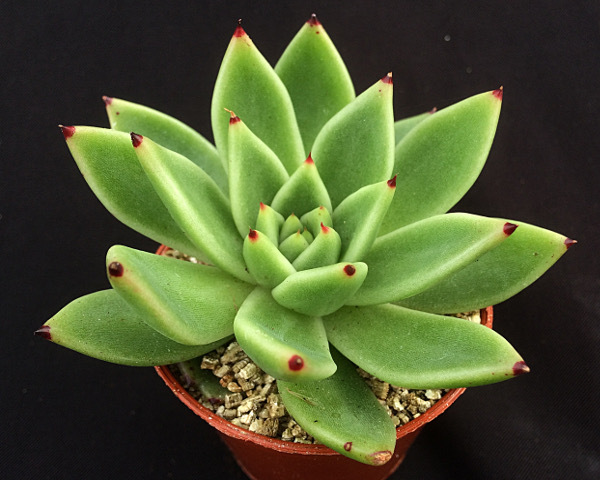 Echeveria ‘Arrow’ is a brand new introduction for the summer of 2017, its has distinct black Arrow like tips on the end of its beautiful lush green leaves. 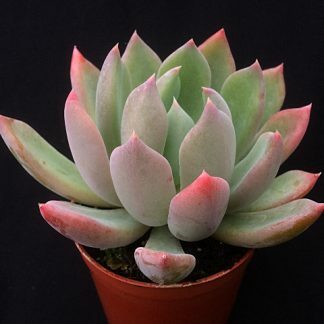 A compact grower that is slow to offset, a perfect hot and sunny window sill plant. 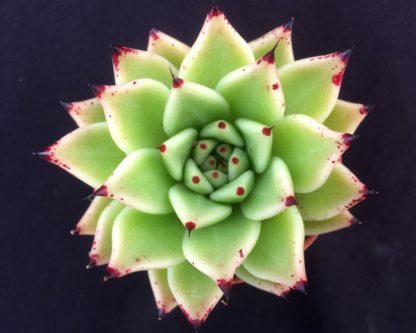 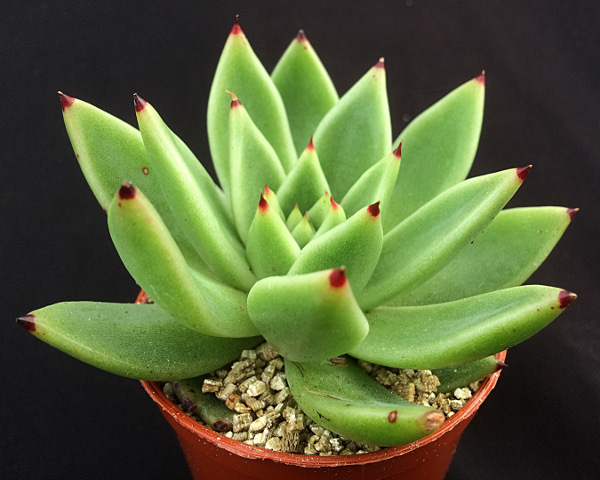 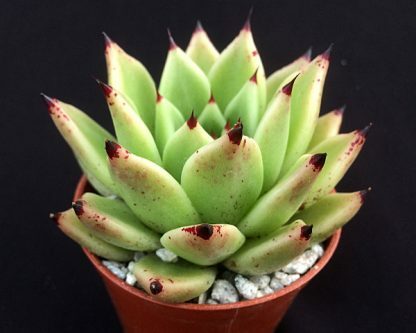 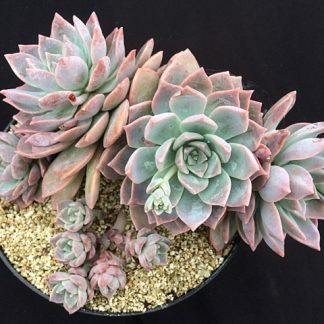 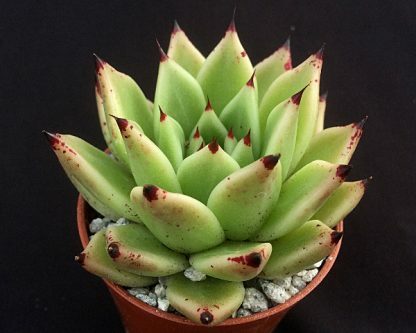 Its a cross between Echeveria agavoides ‘Ebony’ and Echeveria zaragoza.